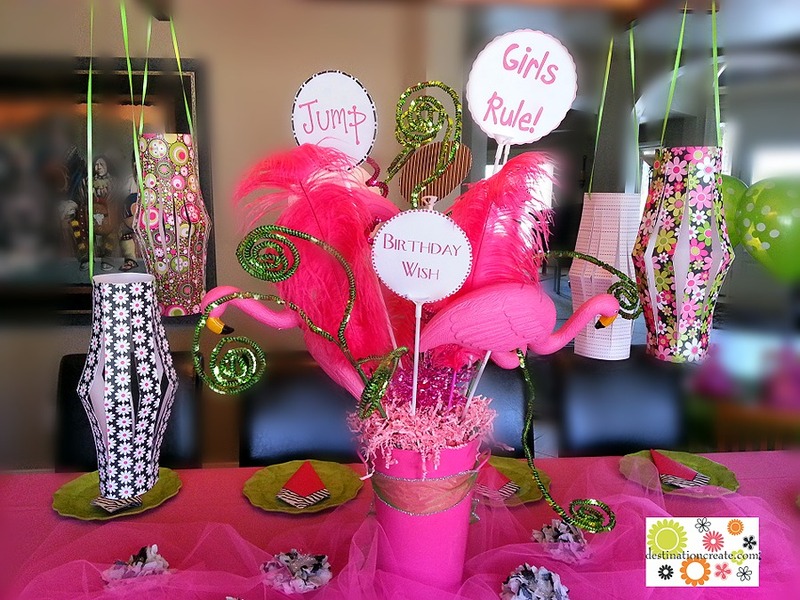 Plastic pink flamingos from the Dollar Tree gave me the inspiration I needed for this Girly Birthday Party. This 6 year old birthday girl loves ballet, the color pink and girly bling. She’s the only grand-daughter in a bevy of boys so PINK was a must for this little princess. The wire dress form purchased from Ross Stores couldn’t just stand naked, so I gathered some pink tulle around the waist and added ribbon scraps. The polka dot balloons came from Hobby Lobby too… another store I can’t live without! The signs are printed on my computer and attached to balloon sticks from- you guessed it- Hobby Lobby. Now, I’m thinking you probably want to know how to make the paper lanterns. 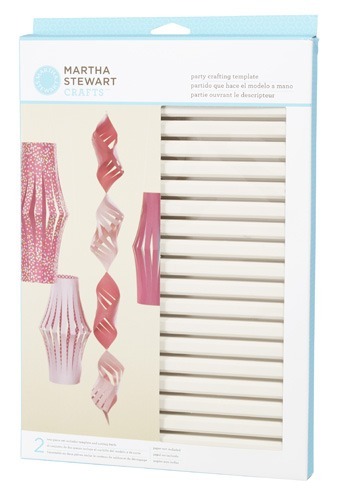 I found a very cool paper crafting tool while cruising the aisles of Marshalls– another great off-price store! 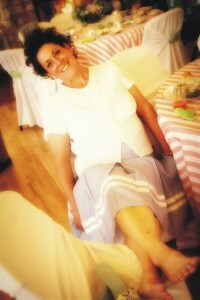 It’s a Martha Stewart Party Crafting Template and comes in a couple of sizes. I used this clever tool to cut slits in 12X12 sheets of scrapbook paper and then held them together in a cylinder shape with staples. These paper lanterns will store flat if you remove the staples or paper clips used to hold them together. 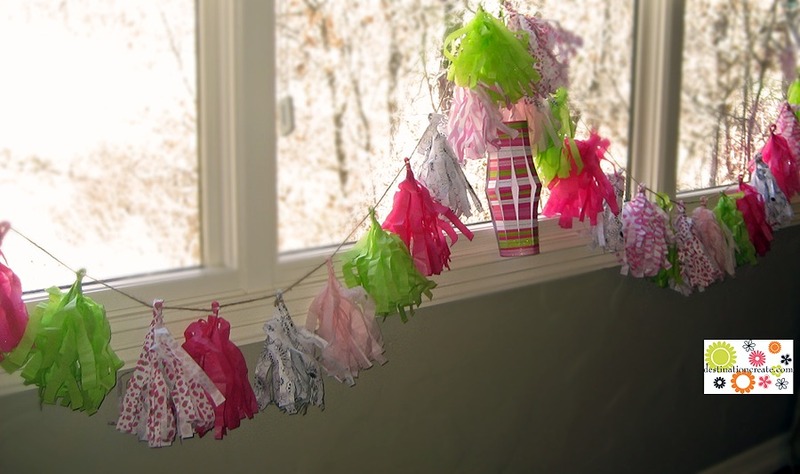 Frankly I don’t remember which tutorial I used to make the tissue paper tassel garland. There are lots of instructions out there. Here’s one from TomKat Studios. The printed tissue came from Hobby Lobby. It was stiff and hard to work with but cute none-the-less. I made the Happy Birthday banner by printing out letters from a Martha Stewart Monogram Template and then gluing them to circles of card stock punched out with a scalloped 3 inch punch. When wandering through TJ Maxx, Ross, Tuesday Morning or Marshalls, I always check the craft area. You’ll find lots of great deals! 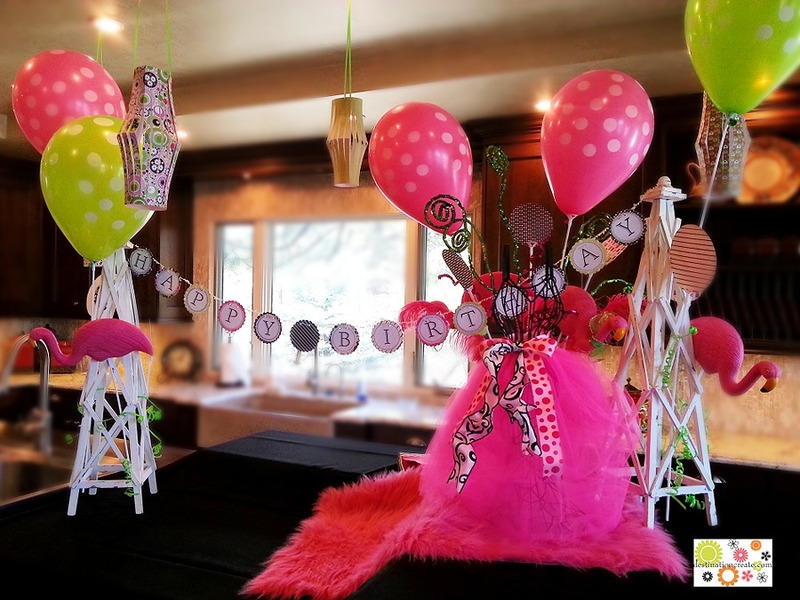 I hope I’ve inspired you to Create a Celebration with some of my ideas. 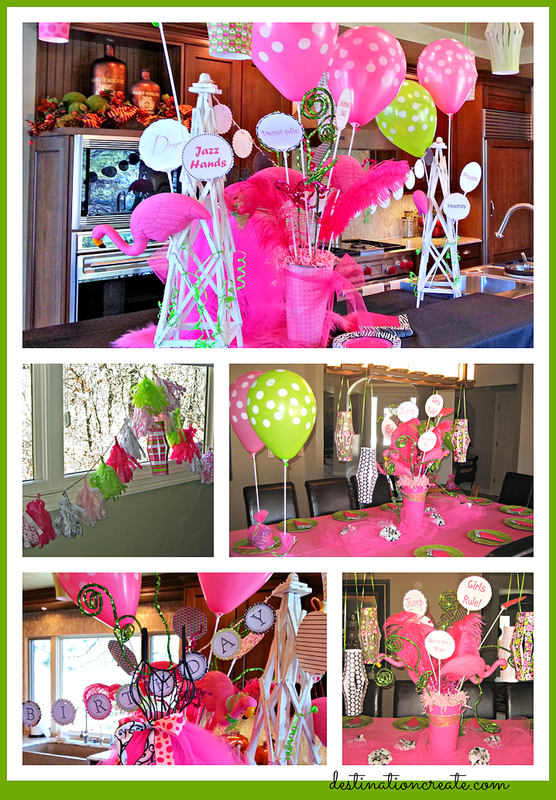 This decor could easily be adapted to any Girly type party- baby shower, girls night, etc.